The holidays are a wonderful time to experiment with cosmetics that sparkle and add a touch of glitter. Elain Cosmetics are available at SkinCareNatural.com and this high quality makeup line has products that are sure to dazzle. 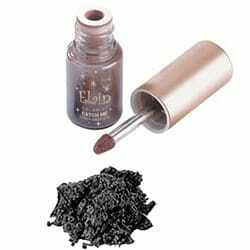 I really like the Elain Cosmetics Sparkle Stick ($14.25) which is a wonderfully creamy eye shadow that glides on effortlessly and really lasts. There are several pretty colors to choose from and I recently tried the “Gold” color which is subtle but really packs a “wow” factor with a glimmer that looks like gold dust. This formula is very creamy and not greasy or oily at all. Once I applied it, this shadow really stayed put and didn’t smudge or smear. The glittering sparkle really catches the light and it is so pretty……perfect for holiday parties and events. You can also enhance your eyes by using the Sparkle Stick as a base for the Catch Me Star Powder Eye Shadow. This metallic power shadow has a silky feel that glides over the skin. It is “infused with pearl for a high-impact glimmer finish.” I used just a touch of this as a highlighter for more subtle day wear and it was very pretty. It really gave a more stunning, glamorous evening look when used over the Sparkle Stick…..very nice. There are lots of stunning colors to choose from to give you the perfect look and it is attractively priced at only $12.50 each. SkinCareNatural.com has a wide selection of designer cosmetics for amazing prices and “the more you spend…the more you will save!” You are invited to visit SkinCareNatural.com to browse the entire selection of products available or to purchase the Elain Cosmetics Sparkle Stick and Catch Me Star Powder Eye Shadow. 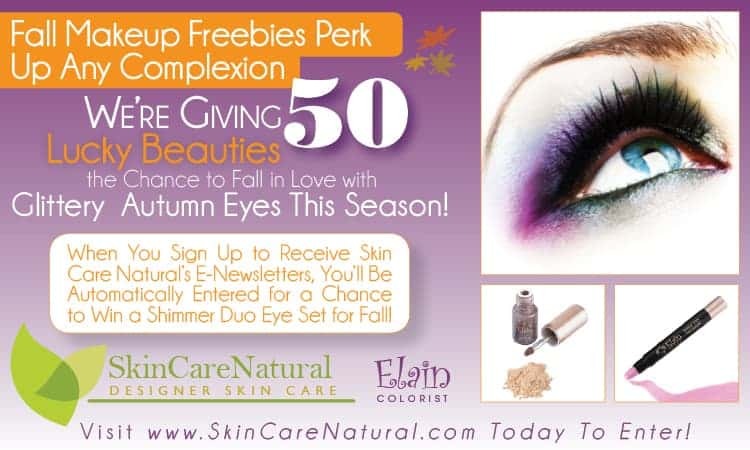 SkinCareNatural.com and Elain Cosmetics have teamed up for a fabulous Fall Giveaway over at the Skin Care Natural website. You can head over now to enter between 11/14 and 11/21/11. They are randomly giving away 50 Duo Eye Sets when you sign up to receive emails. Hurry over and enter now for your chance to win one of these great prizes! Connect with Skin Care Natural on Facebook and Twitter.